Big wheels, two wheels, or no wheels. We’ll help add fun to your life. Get pre-approved for a loan in minutes. Whether shopping for a luxury yacht or a pop-up camper, we offer financing across a wide price range. 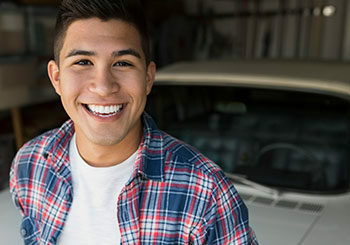 Refi your vehicle. Get 2% cash back. We can’t predict what will happen, but we can protect ourselves if it does. Sound offers both GAP and Extended Warranty Protection on all of our recreational vehicle loans, meaning if your vehicle breaks down, is totaled, or is stolen you’ll be covered. Pause your loan payment without affecting your credit score. Skip-a-Pay allows you to defer up to two loan payments per year. Use the equity you have in your recreational vehicle to get the cash you need. Sound can finance up to 110% of the value of your collateral, upon credit approval. That’s money you can use for debt consolidation, tax and title costs, or even a vacation—all at a fixed rate. Find your perfect RV, trailer, motorcycle, boat, even jet ski from your own couch. 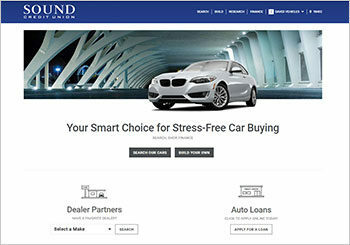 AutoSMART lets you research vehicles, shop local dealers online, even apply for Sound financing in one spot. Get pre-approved for a recreational vehicle loan. APR is Annual Percentage Rate. Your rate and term will be determined by individual creditworthiness including income, debt-to-income ratio, employment, and credit history. Verification of income may be required. Must be 18 years of age to qualify for loan. Rates are subject to change.